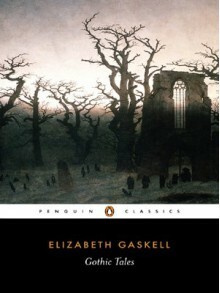 Elizabeth Gaskell's chilling Gothic tales blend the real and the supernatural to eerie, compelling effect. 'Disappearances', inspired by local legends of mysterious vanishings, mixes gossip and fact; 'Lois the Witch', a novella based on an account of the Salem witch hunts, shows how sexual desire and jealousy lead to hysteria; while in The Old Nurse's Story a mysterious child roams the freezing Northumberland moors. Whether darkly surreal, such as 'The Poor Clare', where an evil doppelganger is formed by a woman's bitter curse, or mischievous like 'Curious, if True', a playful reworking of fairy tales, all the stories in this volume form a stark contrast to the social realism of Gaskell's novels, revealing a darker and more unsettling style of writing.